The Sea-to-Sky Highway between Vancouver and Whistler’s alpine village is almost a destination of its own. As the vibrant city fades in the rear-view mirror, the road winds around the bases of snow-covered ranges and Gulf Islands dot the Howe Sound to your left. Where to stay in this West Coast jewel? We’ll help you find the perfect home base for strolling the Stanley Park seawall or exploring Chinatown, Gastown, or Granville Island. Vancouver has many incredible attractions just outside the city centre, so don’t limit yourself to just the downtown core. We recommend these awe-inspiring and easily accessible places which are well worth the extra bit of effort. Our insiders know which of Vancouver’s many cultural experiences are the most authentic. From Canada’s rich First Nations history to the pioneers of Chinatown, we can recommend the best local guides and most interesting independent tours. 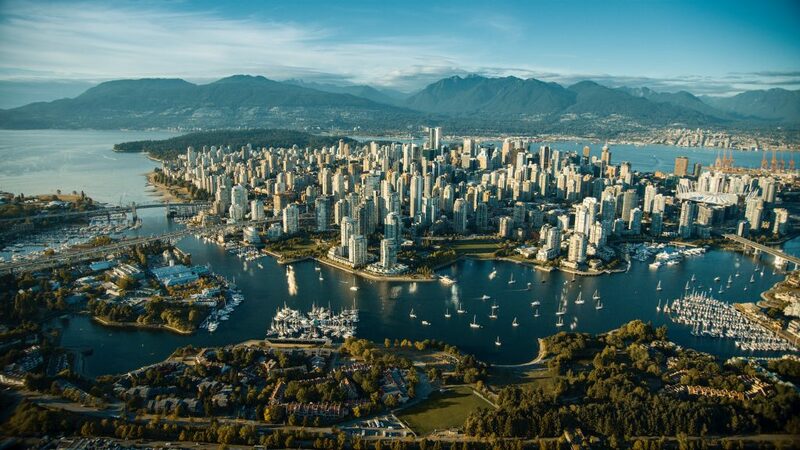 Blessed with a spectacular setting and laid-back West Coast vibe, cosmopolitan Vancouver welcomes you with friendly locals and the promise of outdoor adventure. We pair active days of hiking, paddling and cycling with casual evenings out at world-class concerts, sporting events and internationally-inspired restaurants for perfect days to leave you hungry for a return visit. From the top of the mountain to the heart of the forest, we know the best ways to explore Whistler. We’ll help you make memories with your family and friends as you share the views from mountain top gondolas, lightning-fast zip lines and peaceful canoe excursions across serene glistening lakes. Even though Whistler is a small town, it offers up a wide range of dining experiences. While we love joining the locals for beers and burgers at their favourite joint, we recommend the uniquely northern experience of putting on a winter parka to brave the -32C (-25F) temperatures inside the world’s coldest vodka tasting room at The Bearfoot Bistro. Whistler is so much more than one of North America’s largest ski resorts. Introduced to the world during the 2010 Olympic Games, we love all seasons in this cozy mountain town with its endless offerings of outdoor adventure and a unique European village vibe.